Dr. Darryl Gurevitch has been practising podiatric medicine in Calgary since 1995, and enjoys it very much. He feels it is very important to listen to his patients and then to discuss both conservative and surgical treatment options, even if a patient initially presents for a surgical consultation. Dr. Darryl likes to get to know his patients, and they, in turn, learn a little about his life and family. Dr. Darryl Gurevitch, a native of Calgary, graduated from the University of Western Ontario in London, Ontario, with a Bachelor of Sciences degree in Biology in 1986, followed by a Bachelor of Arts degree in Psychology in 1989. He then completed his Doctor of Podiatric (D.P.M.) degree at the California College of Podiatric Medicine in San Francisco, California in 1993. A two year surgical residency at Kern Hospital for Special Surgery in Warren, Michigan. Kern (now named Michigan Surgical Hospital) is one of only three hospitals in the United States dedicated exclusively to the medical and surgical treatment of the foot. Concurrently, two years learning at Diabetic Foot Centers of America, for specialized training in a multi-disciplinary treatment approach to diabetic foot pathology. Training in England in association with leading members of the British Podiatry Association. 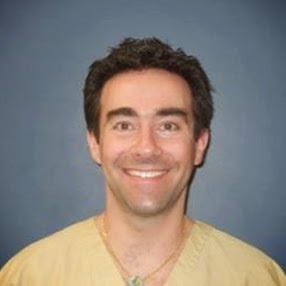 Dr. Darryl Gurevitch’s areas of special interest within podiatry include surgery, orthotic casting, prescription and biomechanical evaluation, podopediatrics, dermatology and podogeriatrics. Dr. Darryl feels that by doing the orthotic casting himself, his patients get an orthotic device that has the best likelihood of controlling their foot function. This increases foot efficiency and balance, lessens fatigue, decreases pain and treats many foot problems. Dr. Darryl enjoys soccer, swimming and most outdoor activities. He is also fond of music, ballet, travel and language learning – in addition to English, he speaks Hebrew and is learning a little Cantonese. Dr. Darryl also enjoys creative writing and has a few children’s books on the go. His first children’s book is getting very close to completion and is being illustrated at this time. Most of his free time, however, is spent with his wonderful wife and two young, energetic and amazing sons.